Brighton’s reputation as a vegetarian and vegan friendly city is well documented. 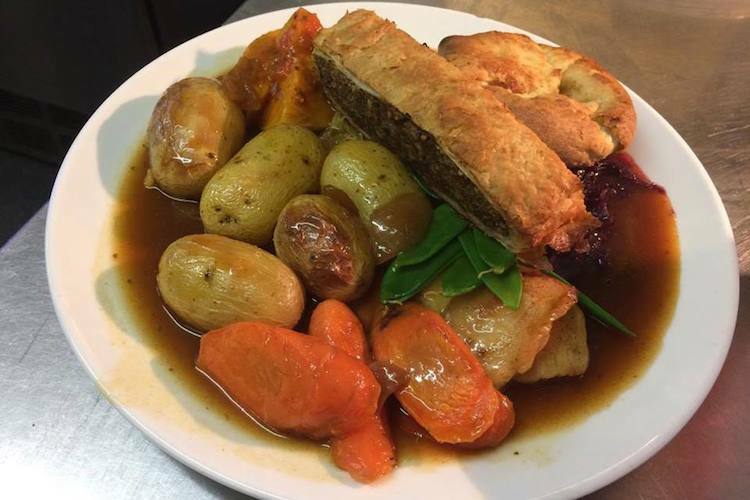 With so many great options we thought it was time to feature the best of vegetarian vegan roasts Brighton. These are no token gestures. These are vegetarian and vegan roasts that have been given the care and attention that every roast deserves. All roasts are created equal in our eyes, and once you give these a try you will be sure to agree. 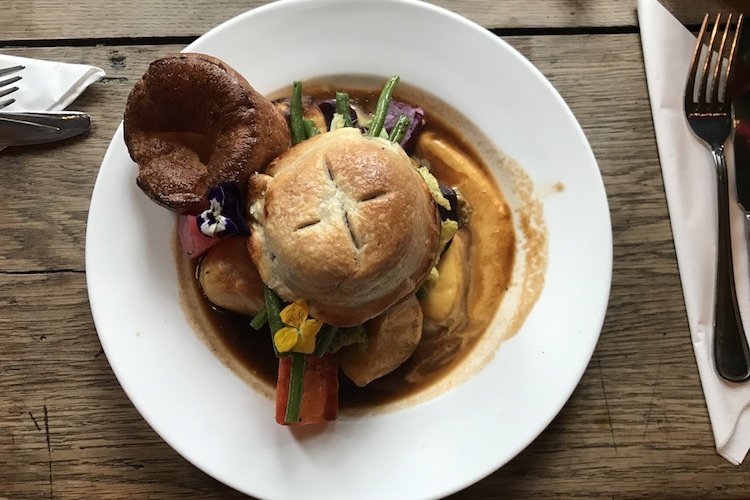 Get your crew together and be ready to book your next Sunday funday whilst tucking into one of these vegan and vegetarian roasts in Brighton. The Better Half Sunday Roasts are have a reputation that extends far beyond the limits of Hove, and for good reason. Always made from scratch with fresh and local produce, the vegetarian and vegan options are imaginative and tasty. Even meat eaters will agree that the veg on their plates is something to shout about. 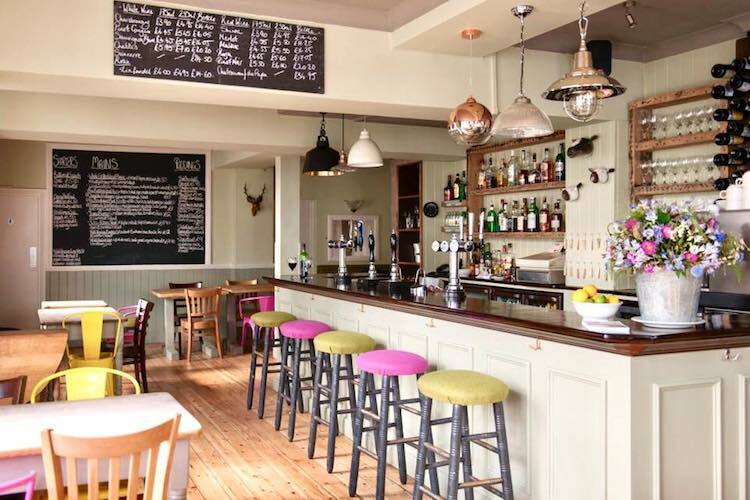 Booking is pretty much mandatory for lunch in this cosy, popular pub. Welcoming folk of the Preston Park area and beyond, The Cleveland Arms is the definition of a community pub. The venue itself has been recently refurbished into a modern and light but cosy and welcoming space, overlooking the beautiful green space of Blakers Park. Their Sunday roast option is a mushroom, beetroot and sweet potato wellington served with all the traditional accompaniments. There are also plenty of other vegetarian and vegan options on the menu if you aren’t fancying a roast! Food for Friends is one of the city’s most highly regarded restaurants, it also just happens to be a vegetarian and vegan one. The menu is laden with exquisite and modern creations; and on Sundays you also get the option of a classic roast. Served with all the trimmings, the main element changes depending on seasonality and whatever the chef has decided to create. These are some fancy roasts indeed. Gravy laden plates of delicious roasted goodness that can be served either vegetarian or vegan. The main menu is also available meaning there are plenty of options if someone in your group doesn’t fancy a roast. We cannot think why that would be the case though. Another pub that has become well known for its fabulous roasts, The Independent in Hanover is one to check out. This free of tie boozer has come fabulous craft beers on tap and the food is truly restaurant standard. Roasts have been so popular that booking is essential. Veggie options are always included, and they also have starters and non-roast options to choose from. We love The Independent. This is a great pub that serves the local community and visitors alike. A cosy space to while away a few hours, the standard of food and drink will keep you coming back. A real Sunday happy place. 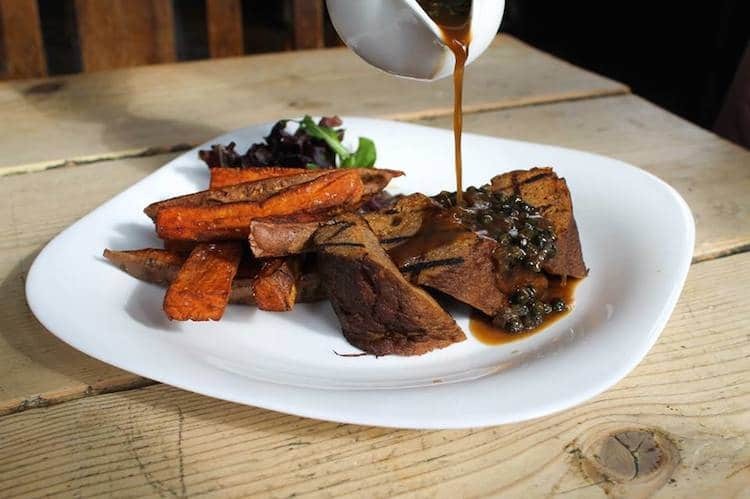 As well as hosting an excellent vegan Supper Club once a month, every Sunday the cavernous Walrus Pub serves up excellent and generous roast selection with vegetarian and vegan options, including Sunday Lunch alternatives and desserts. Stretching over three floors with a roof garden too, The Walrus is great for those who have left it last minute and are struggling to find space that also caters to all requirements. 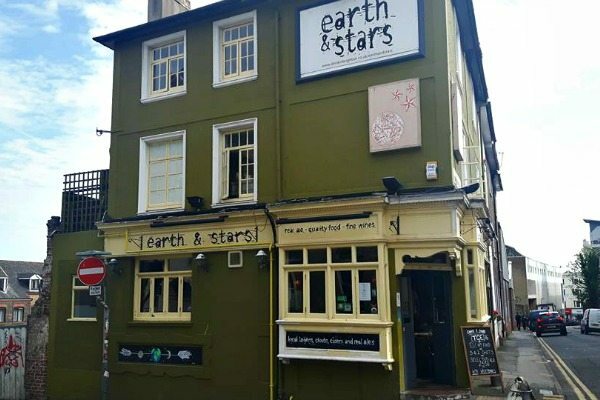 The Earth and Stars has long been regarded as one of the most vegetarian and vegan-friendly food pubs in the city. 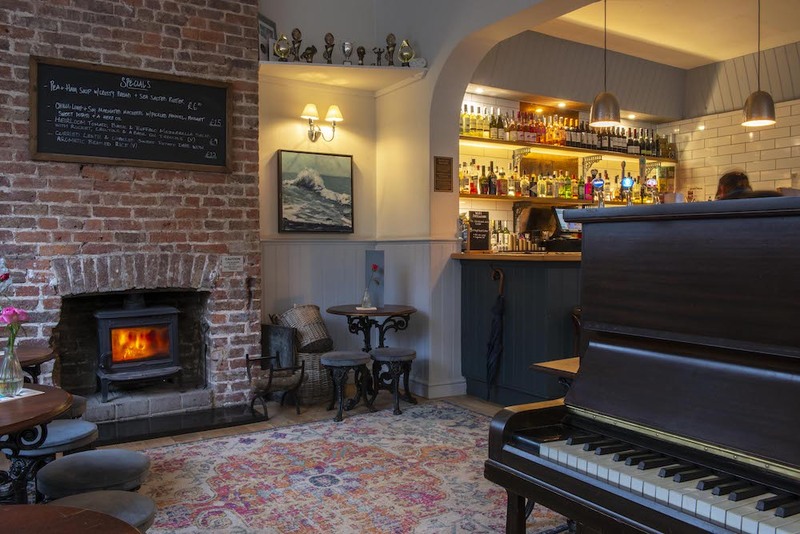 This award-winning city centre pub ticks many boxes with its strong eco credentials and lovely comforting atmosphere.The menu caters for all dietary requirements and has plenty of options throughout the week. Roasts are the perfect full stop for the end of the week. Expect some quality veggie and vegan options that are piled high on the plate and will banish even the most excessive of weekend activities. Wash these down with some lovely organic beers and ciders and you are in for an almost saintly Sunday experience. 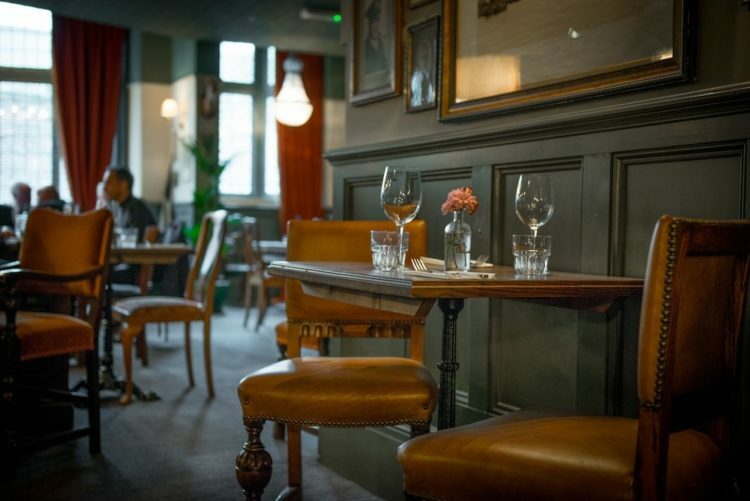 This Kemptown pub has long been a contender for best roasts in the city. The large pub allows for plenty of space, and the double gardens come into their own during the summer months. The pub has a very eclectic feel. Cosy when it needs to be, and raucous and lively when it doesn’t. During the week the kitchen is in the hands of “Too Darn Smokin” but tradition takes over on a Sunday. The veggie and vegan option is always a banger. This is another no holds barred style roast where the food is piled high and bursting with flavour. The Sidewinder is a popular Sunday spot so booking is advisable. A really top spot for some Sunday fun times and hearty food before that dreaded Monday alarm. One of Brighton’s lesser known pubs, and one that locals would prefer to keep that way. The Edinburgh is situated just north of the station and is a proper classic boozer. The kitchen is in the hands of Two Wolves who spend all week offering a menu of good and evil options. Veggie and vegan options abound on both sides of the scales. Sunday’s are no different. Here you will find a vegan chicken or beef option on the menu all served with the usual trimmings and seasonal vegetables. These guys are experts at their vegan dishes, taking things beyond the usual nut roast. Definitely one to check out. The Eddy, as it is affectionately known, is a proper pub that knows how to feed the faithful. 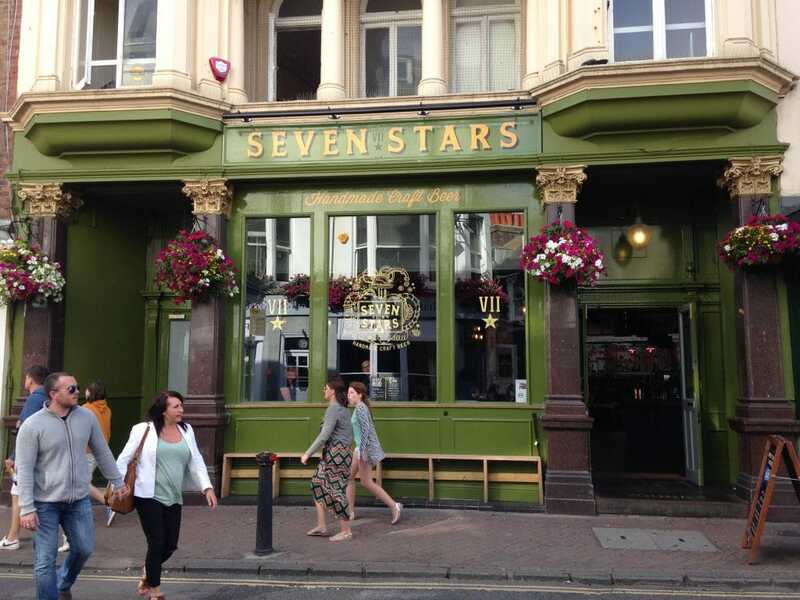 Buried within The Lanes, The Seven Stars is unmissable thanks to the bright green exterior. 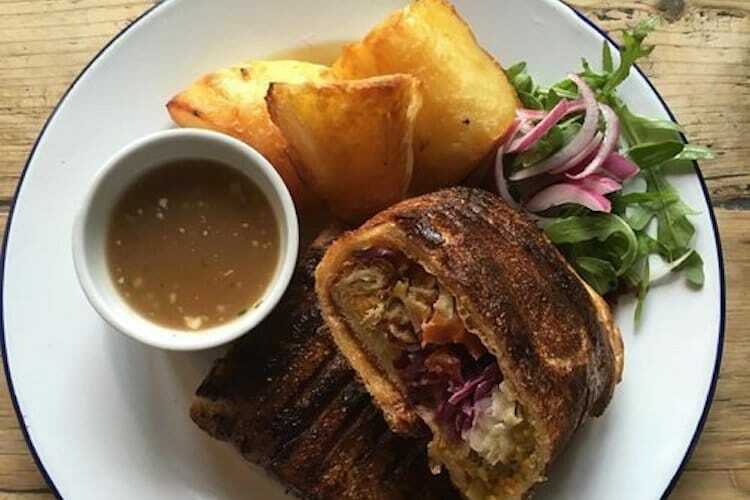 The kitchen is run by the wonderful Croustillant D, a sibling team who bring banging vegan roast options to Brighton. At least four dishes can be made vegan upon request, and certainly don’t scrimp on flavour (or potion size!). Craft beer and a well put together wine list is another reason to visit The Seven Stars, however be sure to book a table as this pubs Sunday roasts are no secret. The Prince George has long served an all-vegetarian menu making it a shoe-in for this list. The large and spacious city centre pub is a popular venue for all. There are plenty of little nooks and crannies to settle yourself into. The award-winning vegetarian menu tastes as good as it sounds. 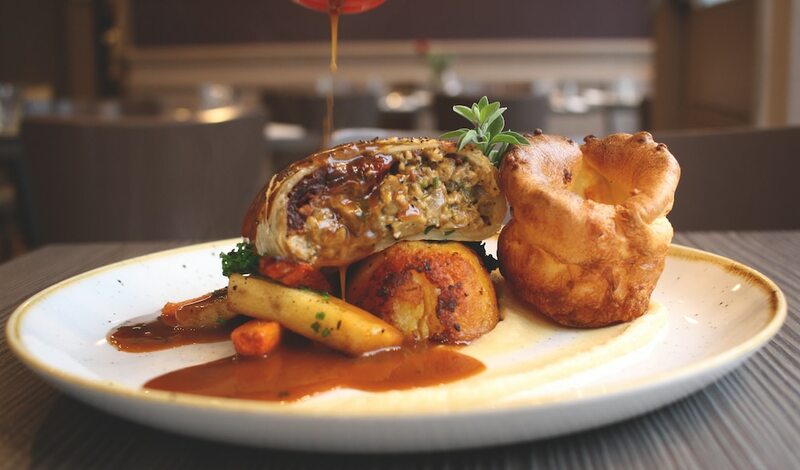 Roasts come with child portions making it family friendly, plus there are additional mains on offer. The well-stocked bar also features plenty of local ales and they will generally have vegan-friendly beers on tap as well. The Prince George is one of the best boozers in town and one that is not afraid to be different. 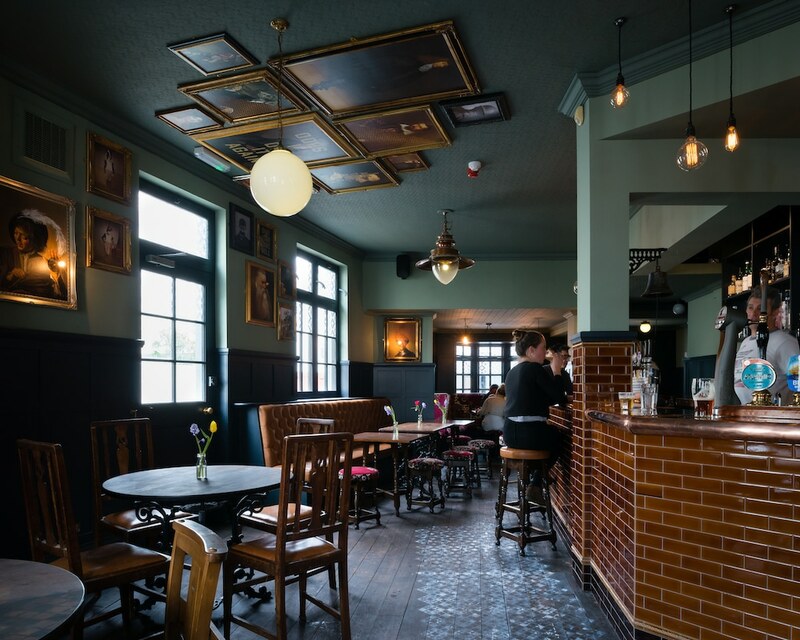 The next pub is one of Brighton’s best loved food pubs. “The Manor” as it is known to locals, The Sussex Yeoman to anyone else, serves some superb food throughout the week. Focusses on ethical and sustainable sourcing you can be sure of only the best ingredients available. Roasts are serious business here. They generally have two different vegetarian or vegan options available, in addition to other non-roast options. The chefs cook everything from fresh on site. No corners are cut and every plate is created with care and attention to detail. 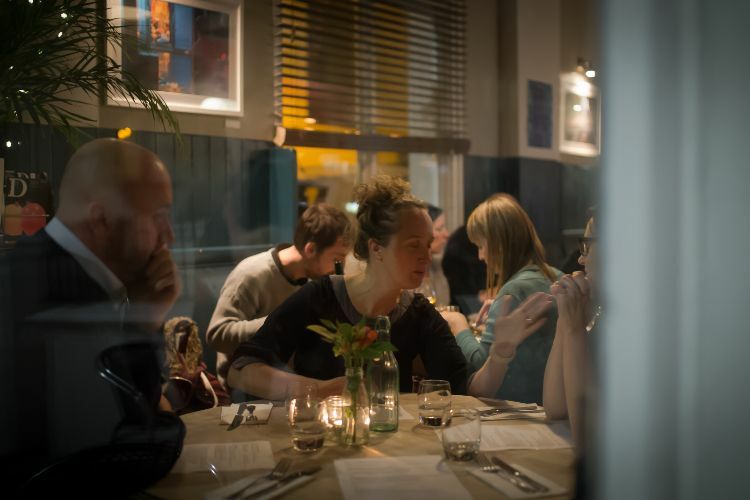 A true Brighton gastropub and one that puts the same amount of creativity into their vegetarian options as their meat ones.